BANGKOK, July 16, 2010 (AFP) - A senior US envoy expressed hope Friday that a state of emergency imposed in parts of Thailand since April in response to violent street protests would be lifted "as soon as possible". 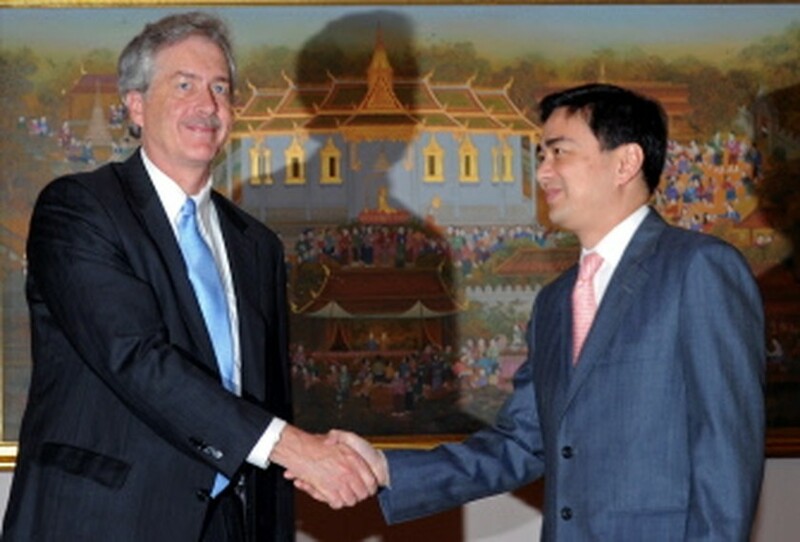 But William Burns, the State Department's number three, stressed that Thailand was able to find its own way out of the political crisis, reiterating US calls for a democratic and peaceful solution. "Clearly the US hopes that the state of emergency ... can be lifted as soon as possible," Burns told reporters after discussions with Thai officials. He said Americans had been "deeply saddened" by the violence and deaths suffered during the two months of opposition demonstrations in Bangkok that ended with a bloody army crackdown in May. Ninety people, mostly civilians, were killed and nearly 1,900 were injured in violence sparked by the anti-government "Red Shirt" rally. The emergency powers -- enabling authorities to detain suspects without charge for up to 30 days and shut down anti-government media -- were extended last week for three more months in Bangkok and 18 other provinces. Prime Minister Abhisit Vejjajiva has set out a five-point reconciliation plan, which the US Congress has said should form the basis of efforts by all parties in Thailand to resolve their differences. The next stop on Burns' regional tour will be Phnom Penh on Saturday for events marking the 60th anniversary of relations between Cambodia and the United States. He is then set to head to Indonesia, with which President Barack Obama has been seeking stronger ties, and will round off his trip on Monday and Tuesday in the Philippines, another close US ally, for talks with the new administration of President Benigno Aquino.